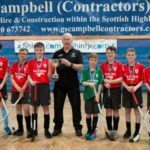 Kilmory/Dunadd Shinty Club’s primary seven team will represent Mid Argyll in the national indoor finals on Saturday March 3 at the Nevis Centre in Fort William. 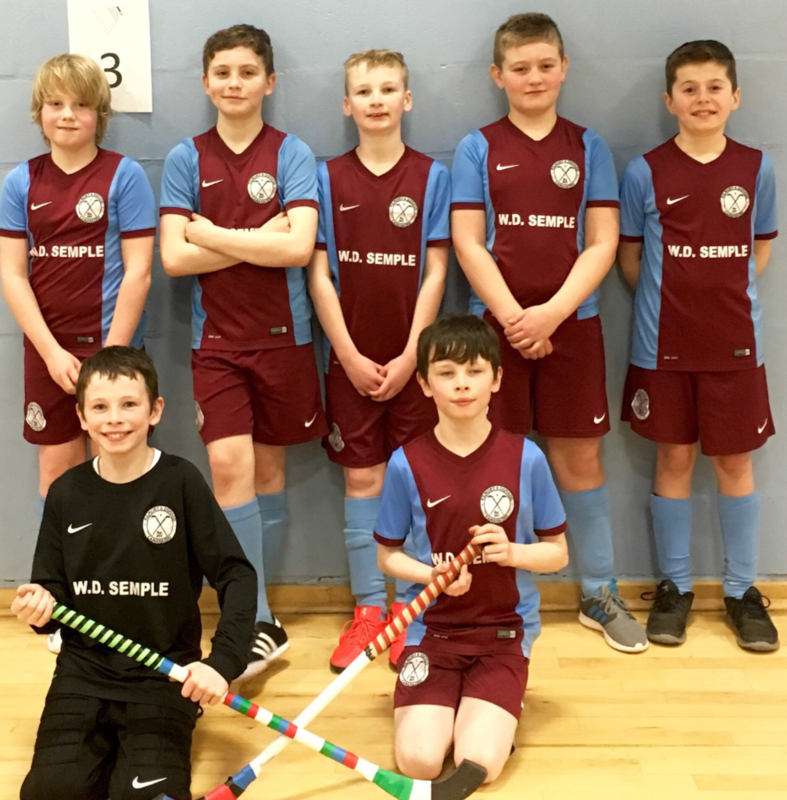 The P7s came through after a convincing win in a play-off with Inveraray earlier this month at Mid Argyll Sports Centre. Inveraray had more success in the primary five section and they will be representing Mid Argyll in this category in Fort William. In other action, the final winter round of the Oban area coaching committee competition was held at Mid Argyll Sports Centre on Saturday February 24. Teams from Dunadd, Oban schools Rockfield and Park, Taynuilt and Inveraray took part in primary age categories. 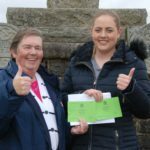 The organisers wish to thank Mid Argyll Sports Centre for hosting the events. Find out more about junior shinty at the Kilmory and Dunadd Junior Camanachd Facebook page. Pictured are the victorious P7 team from Kilmory/Dunadd Shinty Club which will compete in the national finals. Back, from left: Harry Turner, Murray MacDonald, Nairn Jackson, Innes Cameron, Euan Gilmour. Front: Joe Anderson and Dan Anderson.